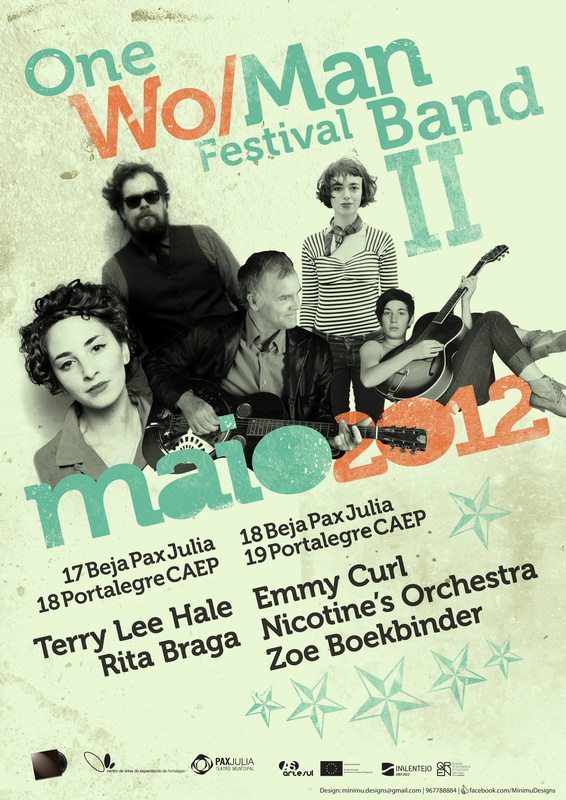 Rita Braga is one of the participants of the 2nd edition of the One Wo/Man Band Festival, taking place in Beja and Portalegre. She’s sharing the stage with the amazing Terry Lee Hale. Splitting both nights with Emmy Curl (PT), Nicotine’s Orchestra (PT) and Zoe Boekbinder (US). This entry was posted on April 22, 2012 by Rita Braga. It was filed under festivals, tour dates .